Summers in Texas can be brutal. Between the scorching temperatures and the normally high levels of humidity, most Texans find it unbearable to go without air conditioning from late spring until early autumn. The best way to ensure that your air conditioner does not deliver any unwelcome surprises is to schedule your HVAC preventative maintenance during the spring. Why Is Spring Ideal for HVAC Preventative Maintenance? Spring brings an abundance of cottonwood and pollen that will become attached to outdoor condenser coils, placing undue stress on the system and causing higher utility bills, poor operation and unexpected repairs. In addition, the outdoor components have been exposed to the elements all winter, accumulating piles of dead leaves, twigs and trash that can block the fins on the protective covers. Finally, the filters on HVAC systems tend to accumulate a great deal of dust over the winter and will need to be cleaned thoroughly or replaced. What Are the Typical HVAC Preventative Maintenance Tasks? Although there are some tasks that you may be able to handle yourself, a qualified HVAC technician can inspect many parts that you may not be able to access. Typical tasks performed by the service technician are shown below. • Replace the air filters to increase the quality of the indoor air and improve the system’s efficiency. • Test the thermostat and recalibrate if needed. • Inspect the ductwork and make any needed repairs. A leak in the ductwork can increase your energy bill by up to 20 percent. • Clean registers and vents to remove pet hair, dust or other residue that may restrict the flow of air. • Inspect fan blades and the fan belt for wear that could cause overheating or failure. • Verify that the coolant levels are adequate, replenish as needed and ensure that the system is not leaking coolant. • Examine the condensate drain line and unclog if necessary. • Inspect the condition of the blower and fan coil. • Lubricate moving parts as needed. • Check for and eliminate any fire hazards. Loose connections, frayed wires and damaged parts could potentially spark a fire. 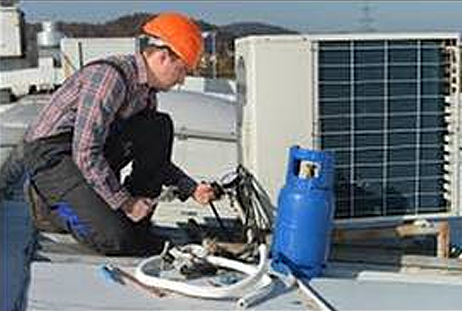 Blackall Mechanical offers a full line of HVAC and plumbing services to residential and commercial clients. Our industry professionals have more than 135 years of combined experience and can handle everything from a simple service call to a major retrofit or new construction. If you would like to schedule service or request a quote, you can use our online form to contact us. If you prefer, you can call (972) 380-0880 if you are in North Texas or (512) 339-3090 if you are in South Texas.